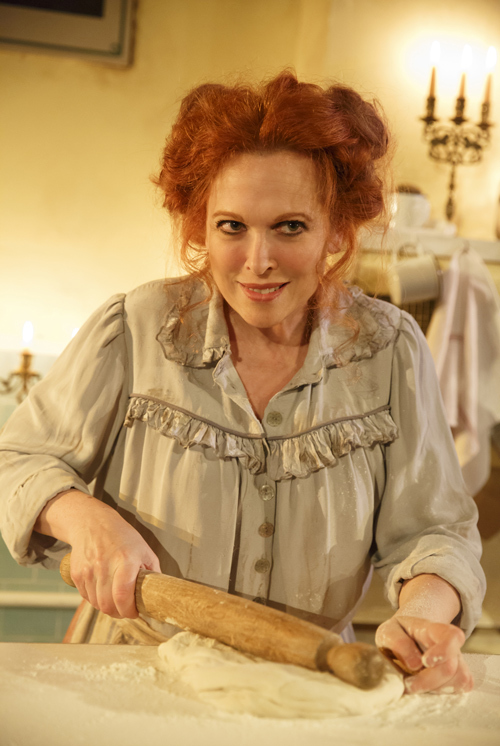 Three-time Tony nominee Carolee Carmello marries her incredible voice and impeccable comic timing to create a Mrs. Lovett that has to be seen to be believed in the off-Broadway revival of Sondheim and Wheeler’s Sweeney Todd. 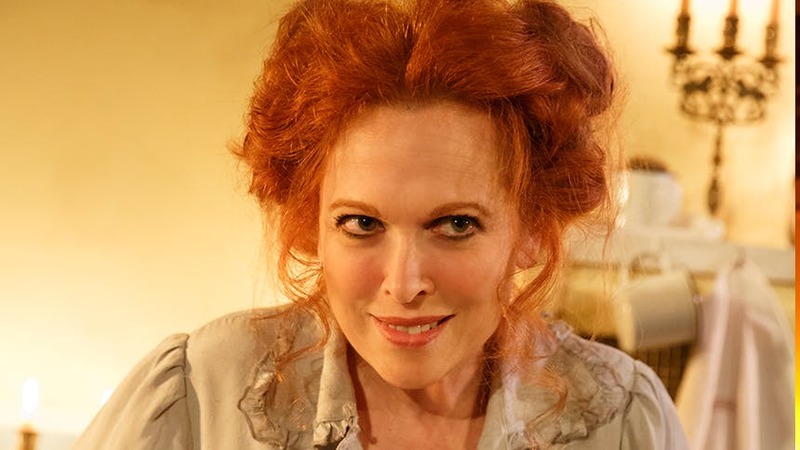 BroadwayBox caught up with Carolee to hear about how her Mrs. Lovett came together and why it intimidated her at first. I had never done the role before. This is my first introduction to the material, aside from having seen other people play the part. I haven't seen the original production, but I did see the Patti LuPone revival and I saw another production in Chicago. I started learning a couple of the songs for the audition and had a lot of fun—they're tricky songs to learn in a short amount of time. I remember cramming them in for the audition but not feeling completely comfortable, but I guess I did all right enough to get the job. Then once I had it, I did some studying of the accent and YouTube spiraling all different interpretations of the role to see what people have done in the past. So many amazing people have done this part, it’s sort of intimidating. I figured I would look at whatever I could. I’ve never been shy about watching other performances. I know there are actors that don't feel comfortable seeing what other people have done with the material, but for me it's always helpful; I find it interesting the same material can play so differently out of different actors. 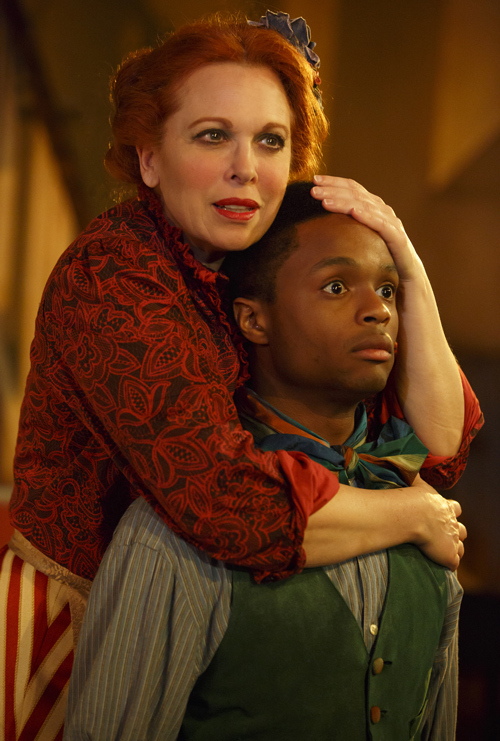 I started on the music because it's tricky, and the last Sondheim show I had done was about 30 years ago when I did a production of Company—so it's been a long time since I had to learn Sondheim lyrics and musical phrases. Before we started rehearsal all I really was doing was sitting by a piano and working on music, so I wasn’t really physicalizing anything until we got into the rehearsal room. Then the great thing was we could rehearse in the space (they were doing a show at night and the space was free during the day), so that was really helpful—to get in there behind the counter, play with the dough, walk up and down the stairs. I felt like she sort of came to life physically when I got into that space. The sound came from intuition. I think I chose moment to moment whether this was a comedic beat I wanted to accentuate or whether it was a song like “Wait”, where she is trying to seduce him and where it needs to be a prettier, more gentle sound. I just trusted my instincts about where the sound would take her and what she was trying to accomplish in that moment. There are some beautifully sung musical moments that I really wanted to be able to sing out. The great thing about that production is that we have no mic, and I hadn’t done that for years. It really is so fun because you get to control every aspect of your own sound. When you're working with a sound designer in a Broadway house and they have everyone on a body mic and every instrument is on a mic and they're manipulating everything to make a sound, you don't really feel like you have a lot of control of what finally gets to the audience; but in this situation, you're right there and you control the volume and power over your own vocals. The key in creating a character is really looking at lyrics and scene work and trying to figure out what the motivation of the woman is, where she’s coming from, and what she wants. It’s such good writing, it was pretty easy for me to find her soul and what she was after. I felt like I could really understand her desperation when we find her at the top of the show. She's been widowed for 17 years, and, at that time in London, for a woman on her own to make her way and make a living was pretty much impossible—so there's a desperation there. Then this man walks in that she clearly has harbored some affection for all these years walks back into her life. My arc for her is she really is crazy about this guy and the lengths one might go to if someone is crazy about someone and financially desperate; it might lead you to extreme action that under normal circumstances you might never take. Knowing how much she cares about him, and how much she wants to please him, and knowing how desperately she wants this arrangement to work. She wants to hang on to him at all costs, and that makes her do things I don't think she would otherwise. I think that working with Norm definitely affected my characterization for sure. I think the most important thing about acting in conjunction with someone else is listening to them and reacting to what they give you, so it definitely affected me. I don’t know what’s going to happen when Hugh comes in. I love Hugh, and we’ve worked together a couple times, so I feel like Carolee and Hugh will be comfortable together, then we just have to find the Lovett/Sweeney relationship. The interesting thing is that they kind of don't really connect that much. It’s sort of like they’re each living in their own world. They're in the same space but not on the same plain, which is ultimately very frustrating to her because she's just desperately wants to connect with him, but he doesn't give her much. She hangs on desperately to every morsel he tosses her way, but it’s not much. It’s interesting to see what the dynamic is going to be with a new person in the role. 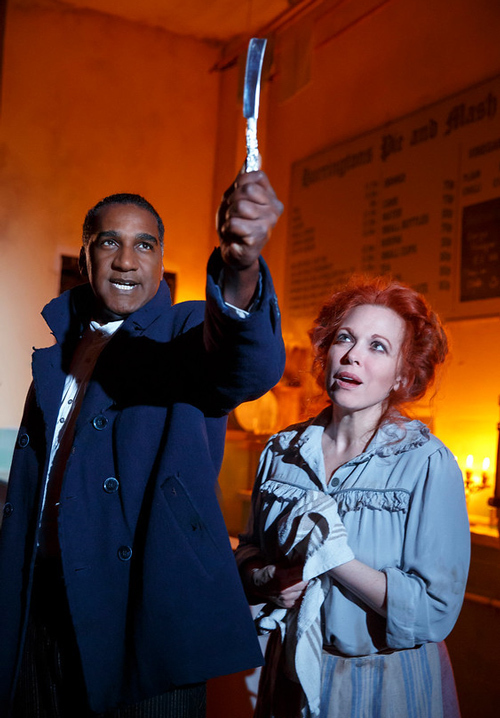 Don’t miss Carolee Carmello as Mrs. Lovett in 'Sweeney Todd' at off-Broadway’s Barrow Street Theatre.